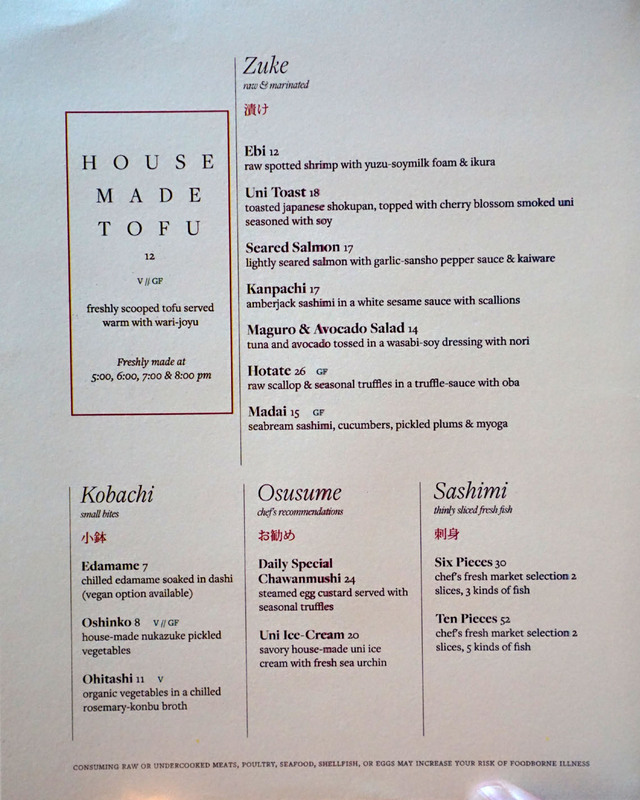 One of LA's newest Japanese spots is situated, oddly enough, in a former cottage on the grounds of Hollywood's iconic Chateau Marmont. 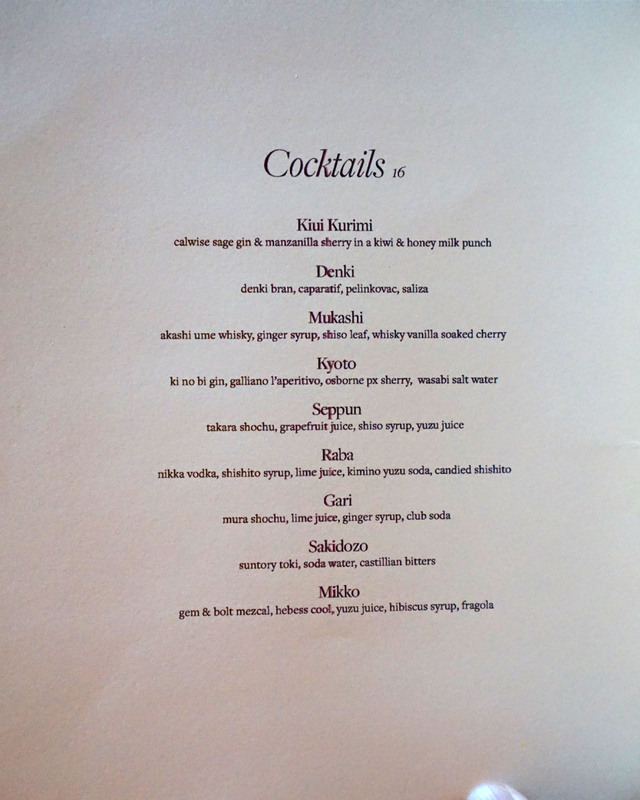 Named after the Japanese word for "separate," Chateau Hanare grand-opened back in July this year. 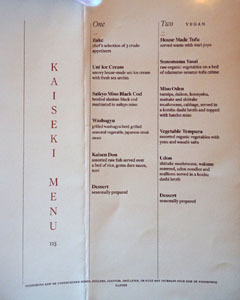 It's the work of Reika Alexander (née Yo), who's most known for opening New York hotspot EN Japanese Brasserie in the West Village back in 2004. 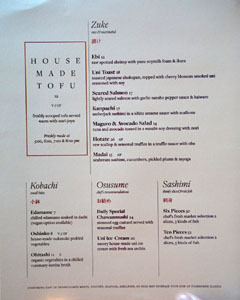 Running the kitchen here, meanwhile, is Chef Abe Hiroki, who was EN's opening CdC and later Executive Chef. The restaurant's divided into a front dining area with the bar and a darker toned space in the back. There are also two private tatami rooms, not to mention the patio out front. Total seating capacity is reported as 135. 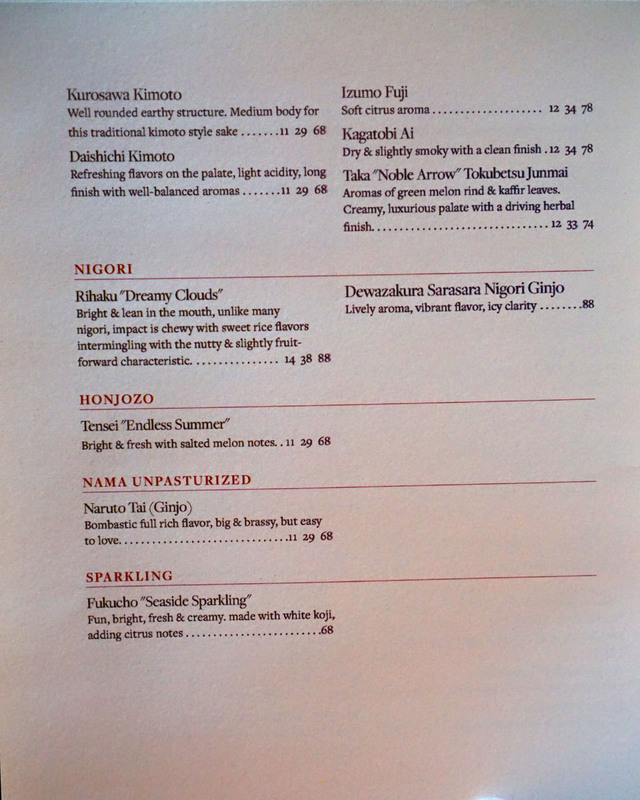 Menu-wise, Chateau Hanare features a pricey, wide-ranging array of dishes, both traditional and not so much. 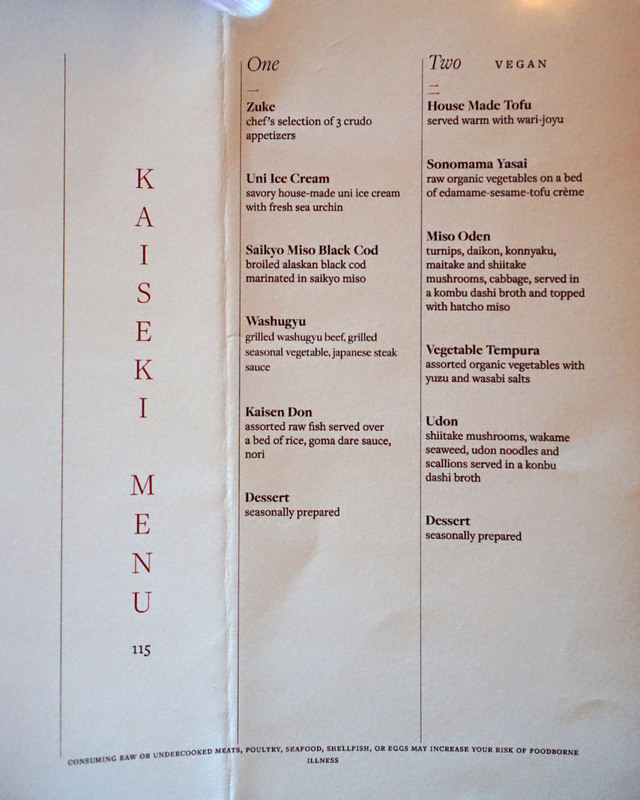 There are also two kaiseki-inspired menus offered (one of 'em being vegan) at $115 a head, though they're merely composed of dishes available à la carte. Click for larger versions. 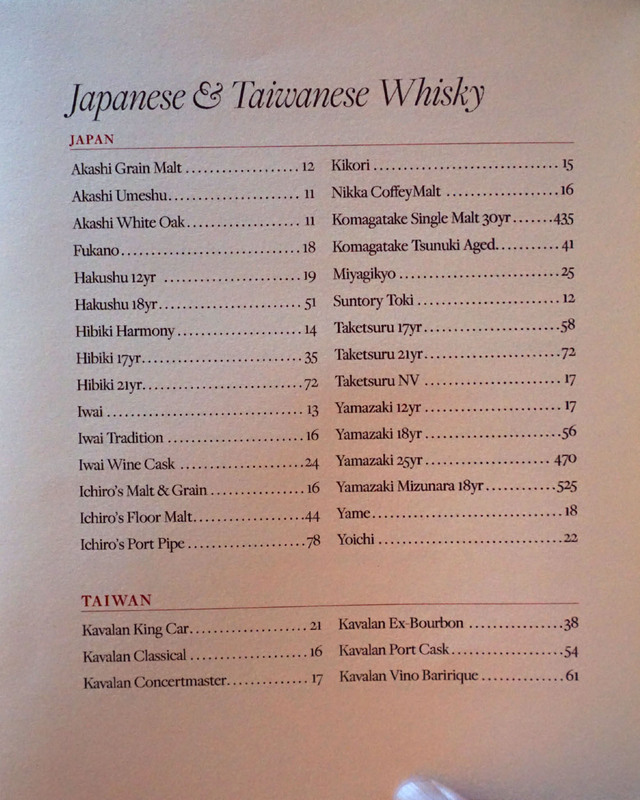 There is no dearth of things to drink: cocktails, Japanese beers, loftily-priced sakes, shochu, wines, and a nice Japanese whisky selection to boot. 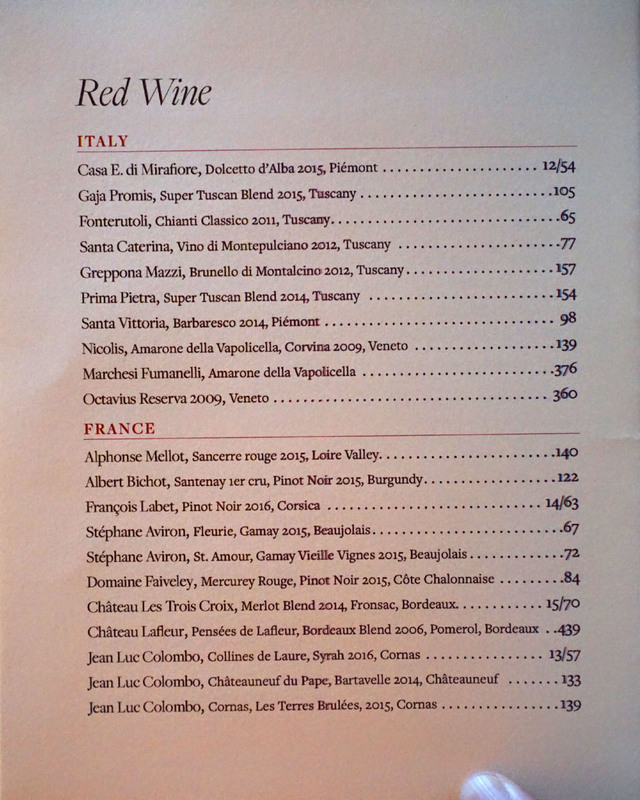 Corkage is $35. Click for larger versions. 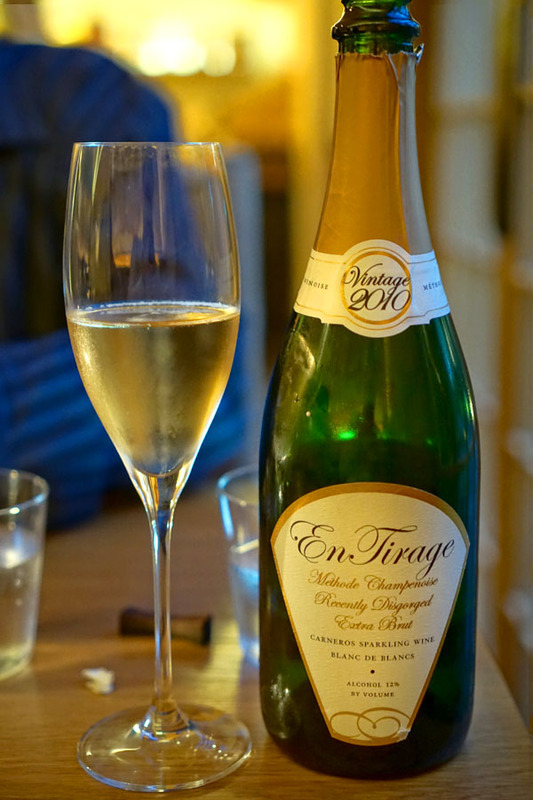 Our first beverage was the 2010 En Tirage Recently Disgorged Extra Brut Blanc de Blancs, a sparkling wine from Carneros. 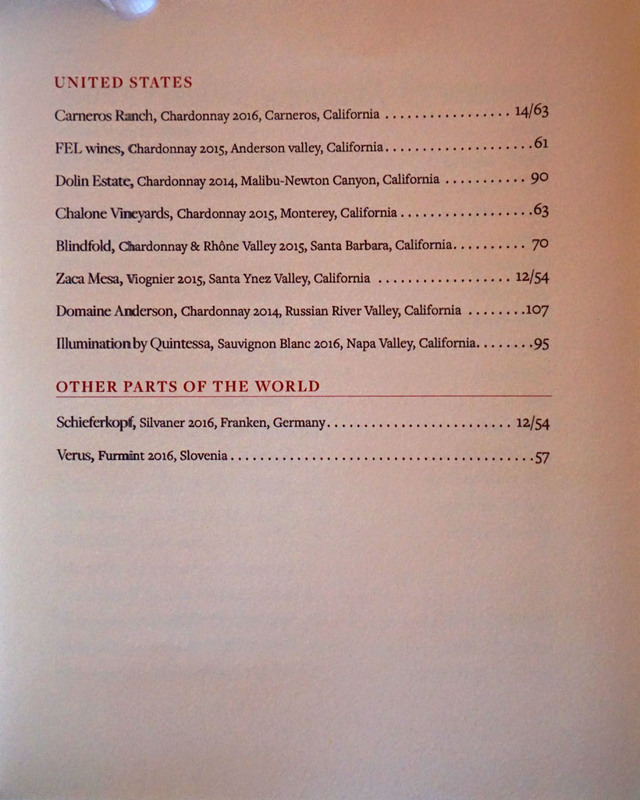 Acidic, oxidative, citrusy nose with a well-defined nuttiness. The taste went in the same direction, but also had a marked toast character and a sweetness underpinning everything. 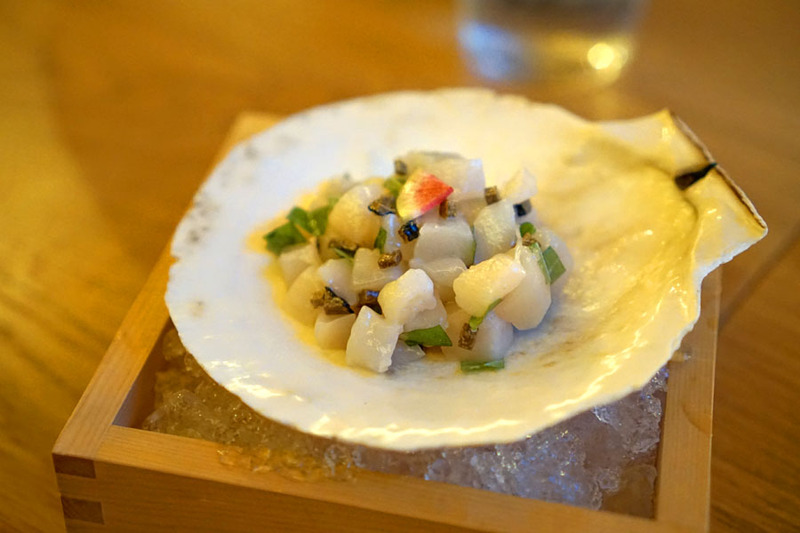 Scallops conveyed a cool, sweet brine, one layered with earthy truffle notes and the minty finish of oba. 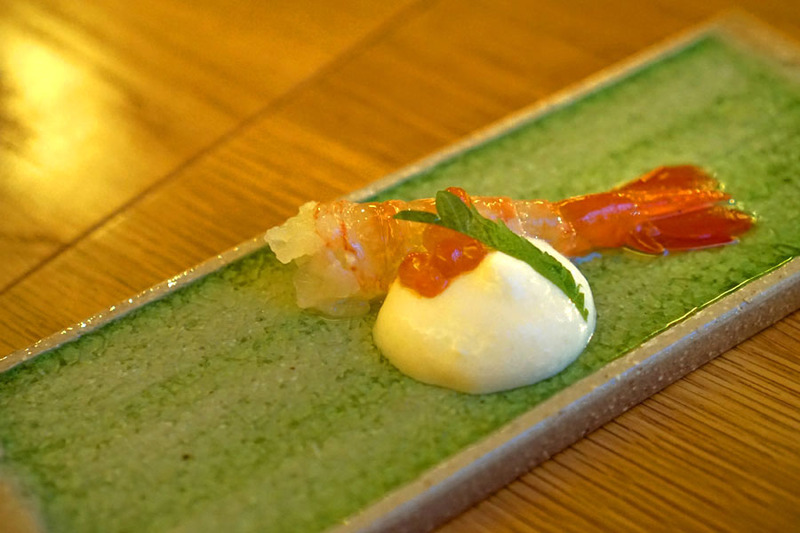 A single shrimp arrived super sweet, with a great snap to it, and worked well with the smokiness of the salmon roe. However, I wasn't a fan of the foam, which was almost disconcertingly thick, though it did impart a not unwelcomed fruitiness to the finish. 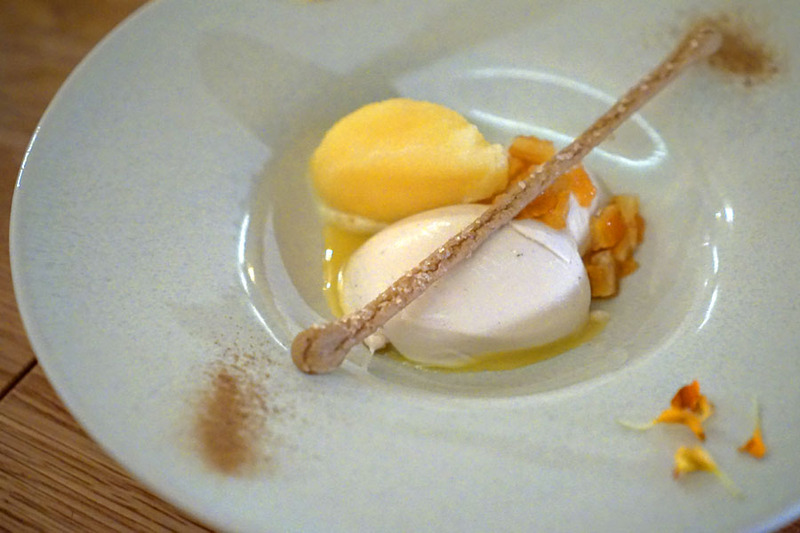 There were some theatrics with this next course. 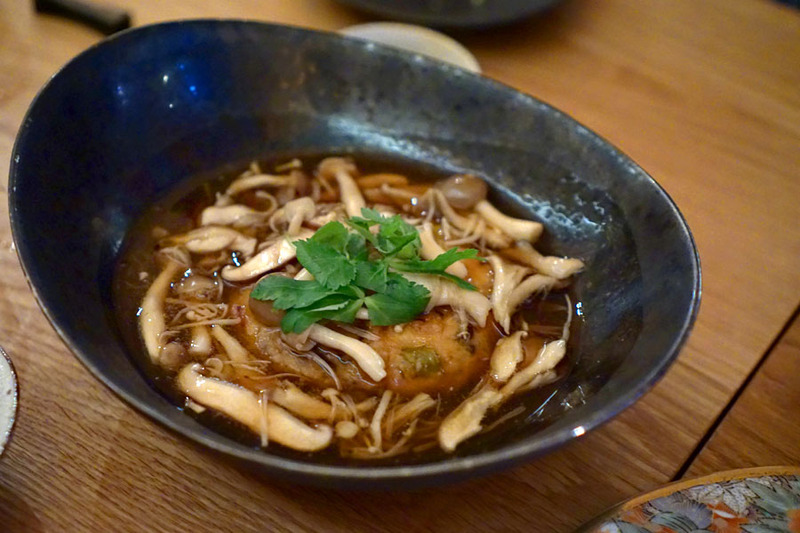 I got plenty of smoky, pungent flavors up front, which quickly led to the signature sweetness of the sea urchin. 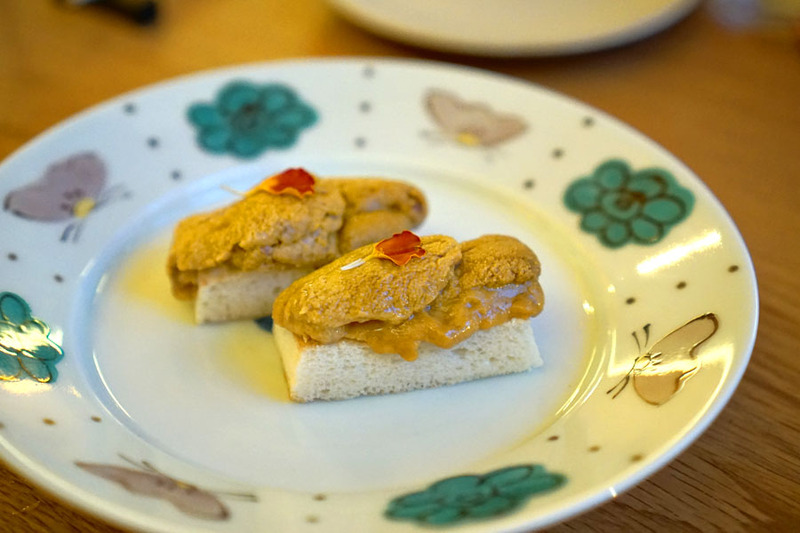 The bread was absolutely key, providing a counterpoint both in terms of taste and texture. 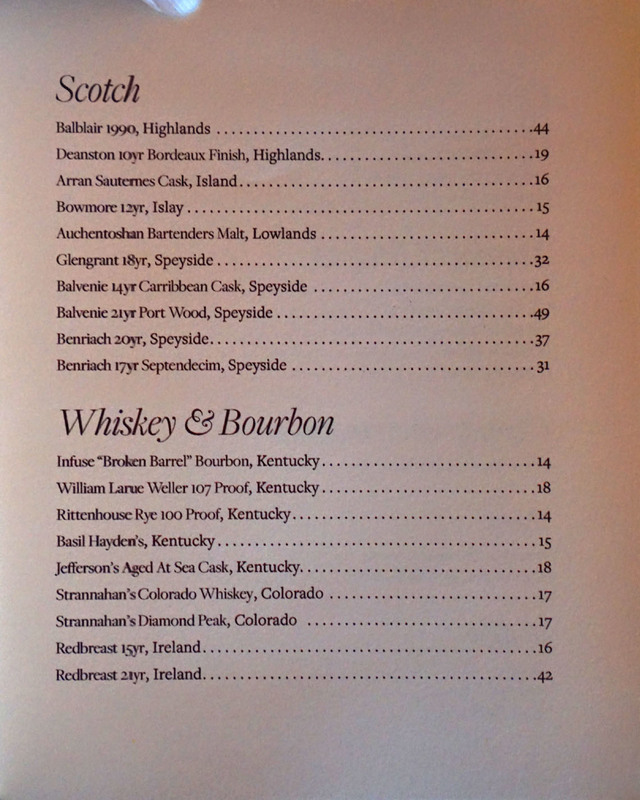 We made sure to try a few of the cocktails as well. 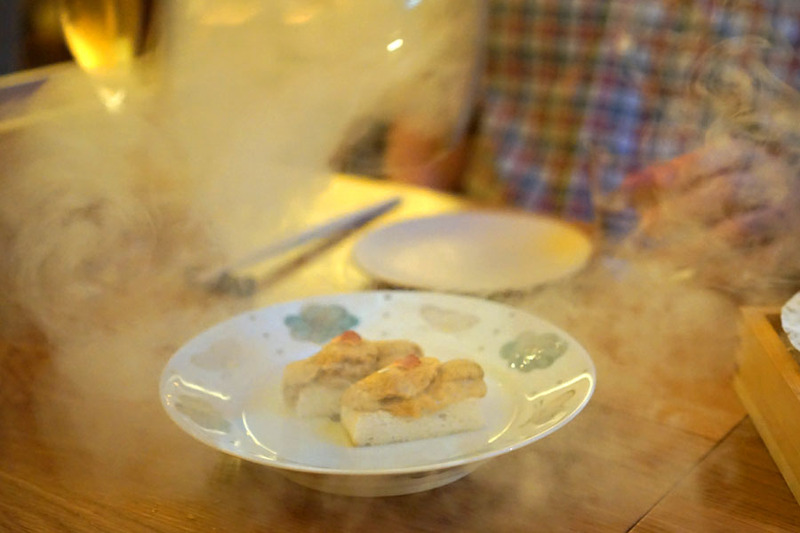 Our first smelled strongly of strawberry and smoke--not unexpected given the ingredients at play. 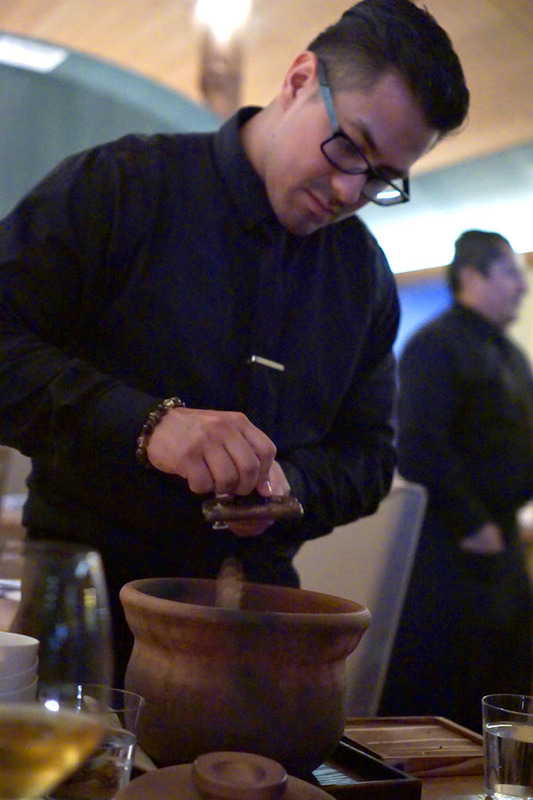 The palate, meanwhile, displayed more mezcal notes commingled with lots of sweet, fruity nuances. We were curious about the pickle plate. 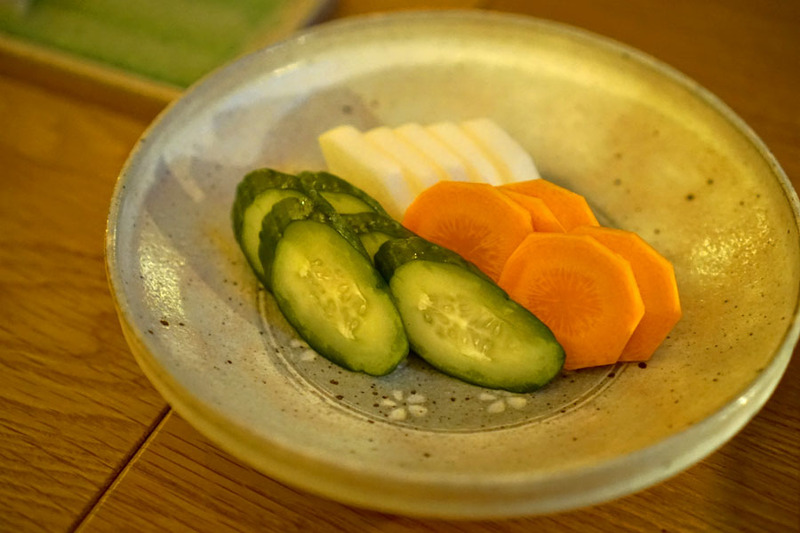 The cucumbers were pleasantly crunchy, with a marked sweetness leading to a tart finish, while the carrots were even sweeter, and not very pickle-y at all. The radishes, finally, were hot and bitter, but again, not particularly pickle-y. 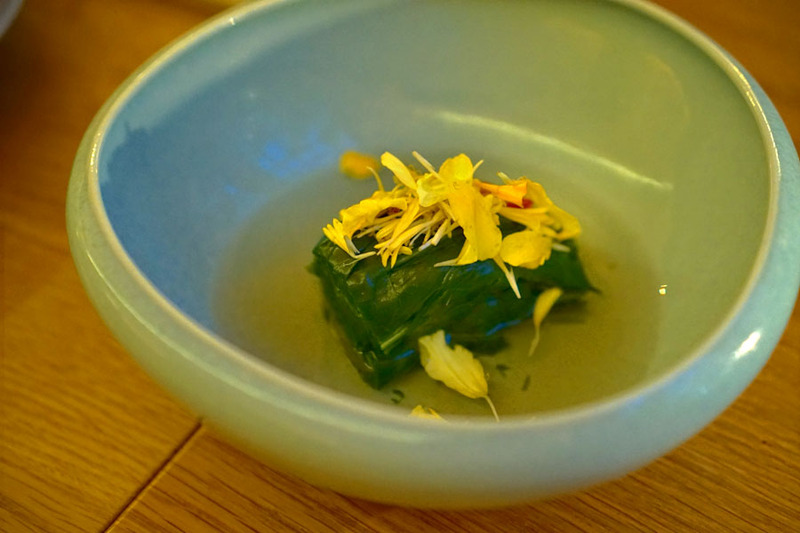 Here we had what I believe was cool, bitter, boiled spinach, set in an unmistakably floral broth. Sorta neat. 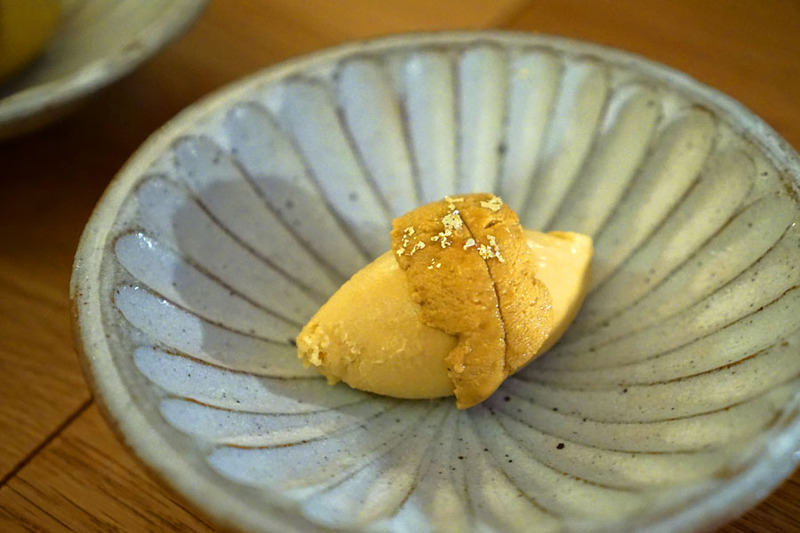 This course did a commendable job balancing the classic character of ice cream with the oceany sweetness of the urchin, and I much appreciated the pops of salt here as well. A table favorite. 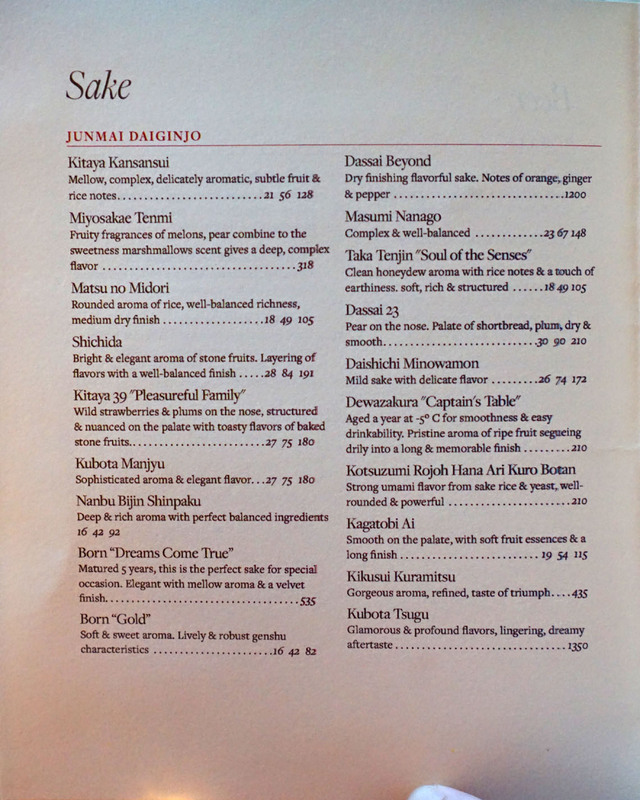 Our next cocktail was ostensibly ginger-focused, though I actually got very little gari. 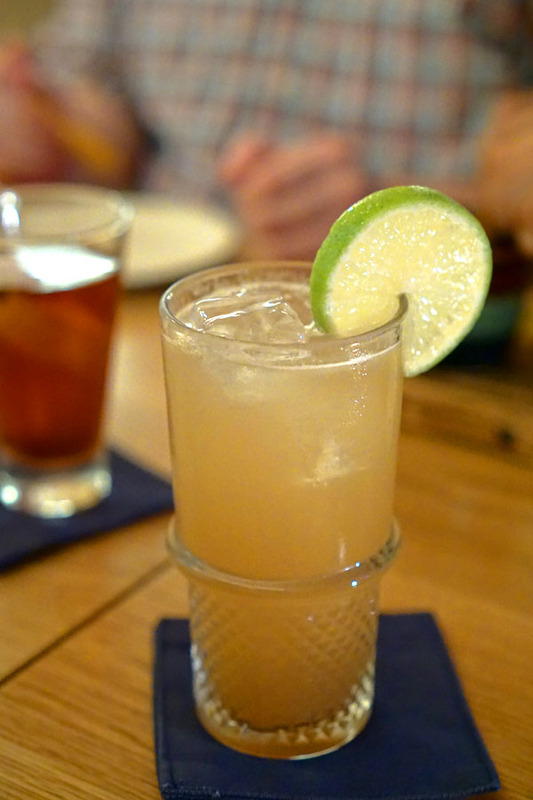 Instead, I found this sweet-ish, soft, and very easy-drinking. 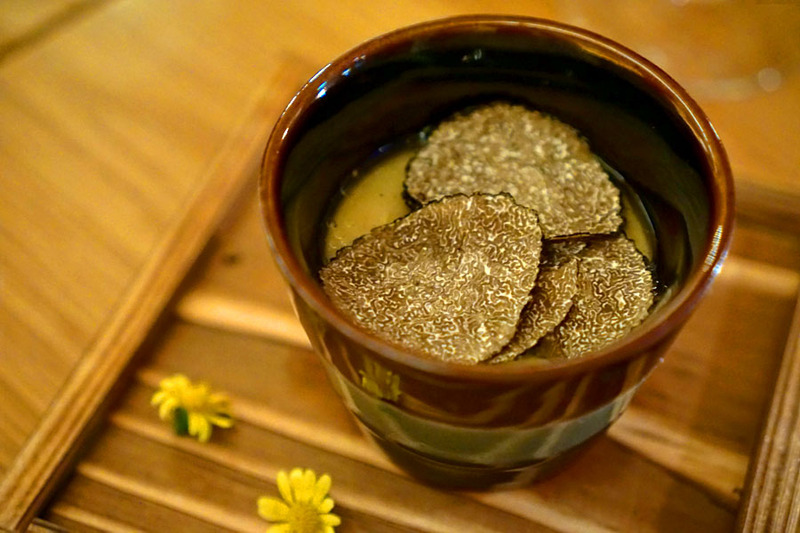 The chawanmushi was another favorite thanks to its cozy flavors amped up by the unmistakable funk of truffle. 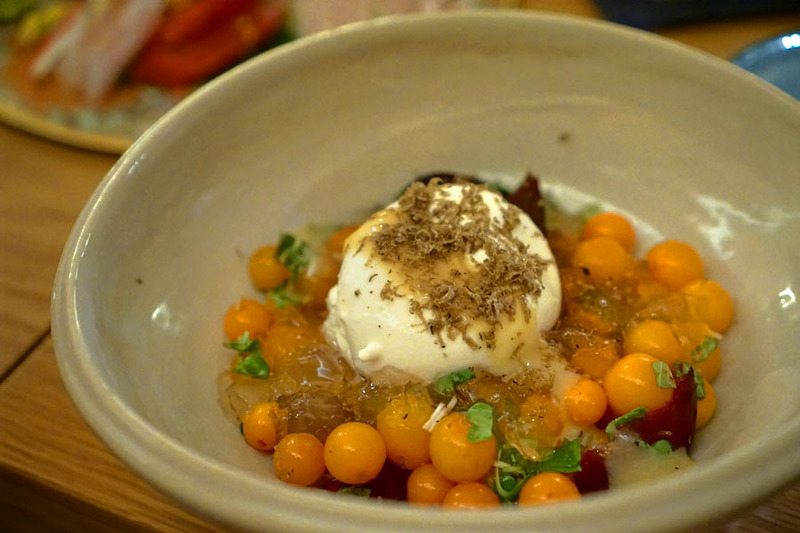 Tomato and burrata combined in classic fashion, and I quite liked the interaction, especially when paired with the umami notes of that dashi jelly. 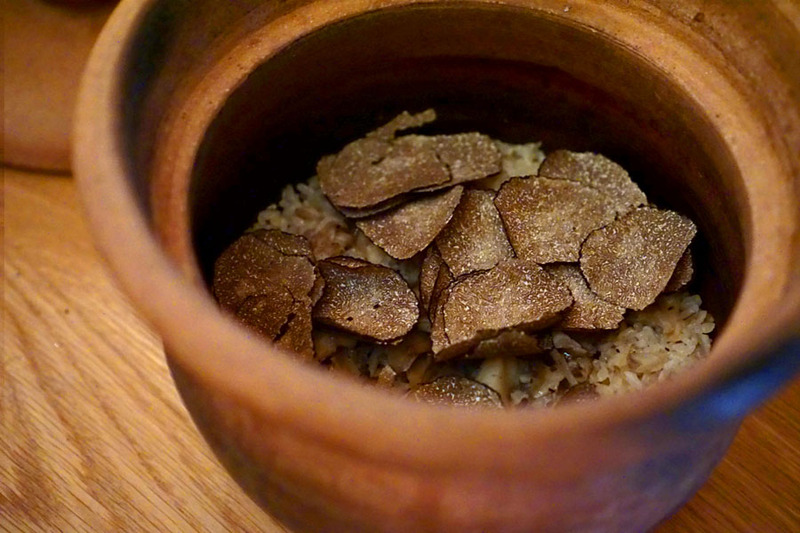 Su-miso imparted a burst of acidity, while the truffle again made its earthy self known. 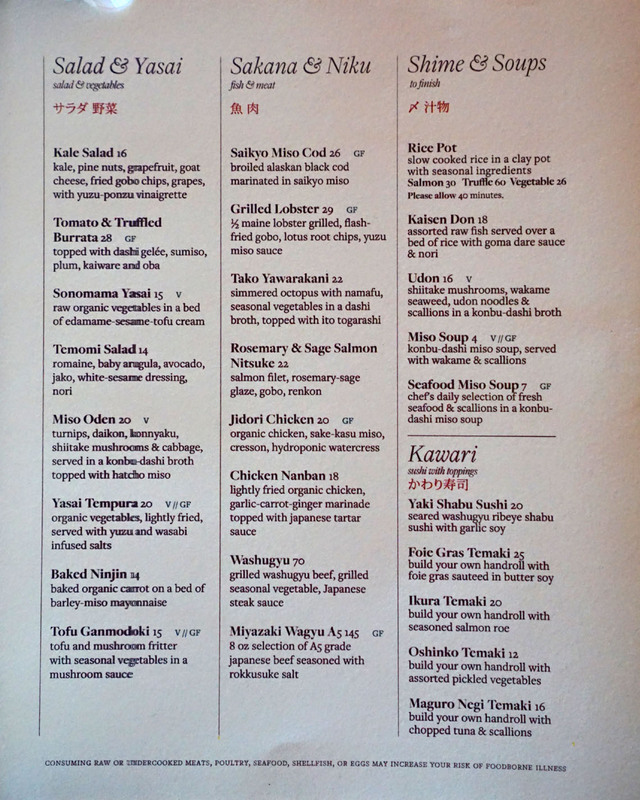 Our moriawase featured cuts of classically dense, rich tuna that went great with a dab of wasabi; soft, clean snapper; slightly chewy kinmedai; sweet, unctuous salmon; and firm, crunchy, fatty amberjack. 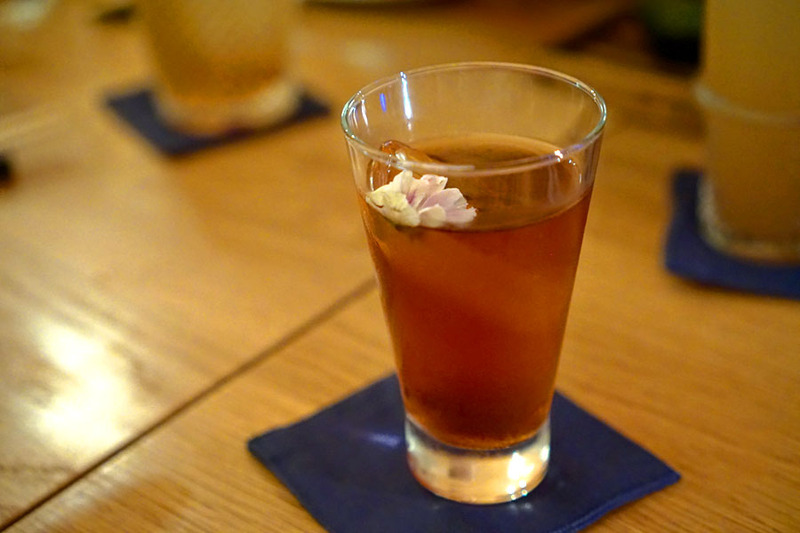 Next was perhaps the most interesting cocktail of the bunch. 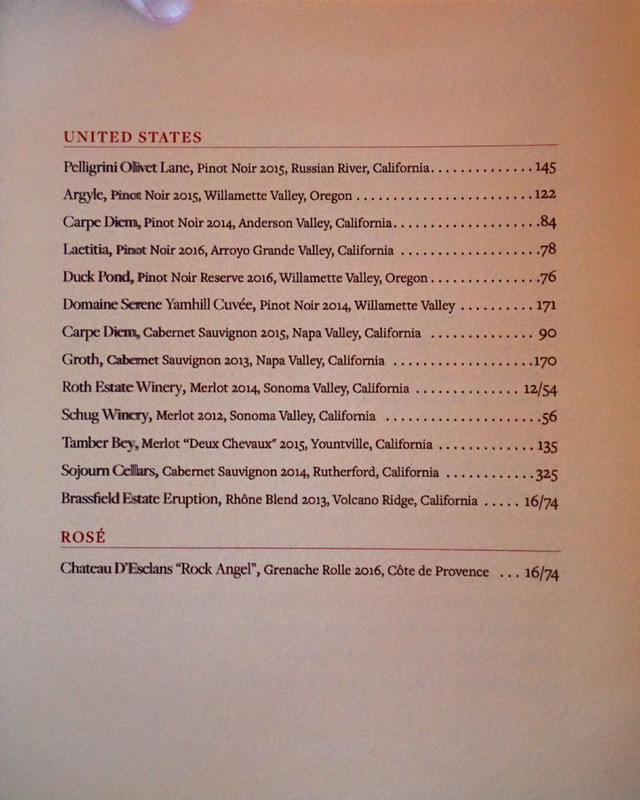 I got a bitter, herbaceous nose that was somehow very familiar, while the palate was sweet from the PX, but also a touch astringent, and quite floral. Ganmodoki isn't something I encounter all that often, so it was nice to see it here. 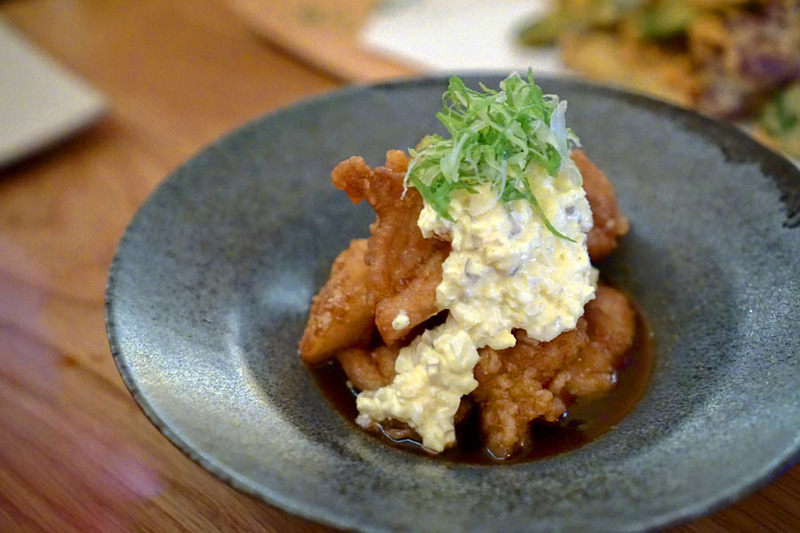 The fritter definitely had a hearty, substantial consistency, with plenty of woodsy flavors that were amplified even more by the included sauce. 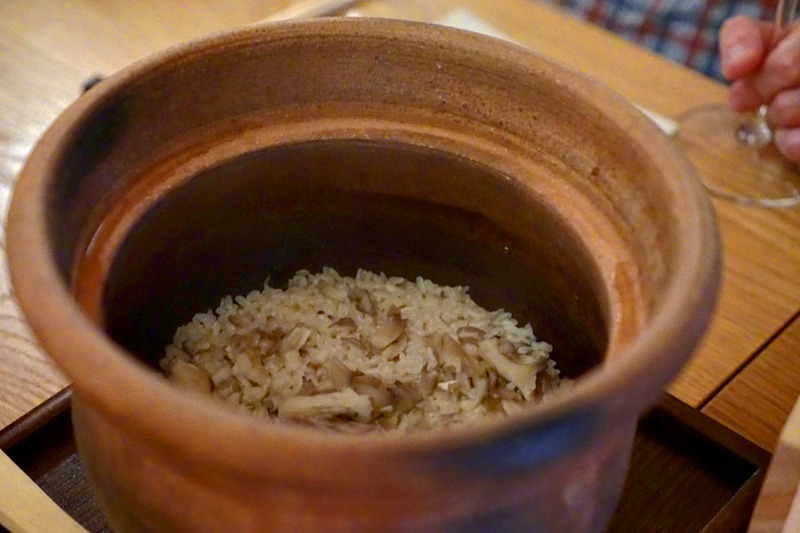 Not surprisingly, we found the rice pot a very homey, comforting, gratifying sort of dish. 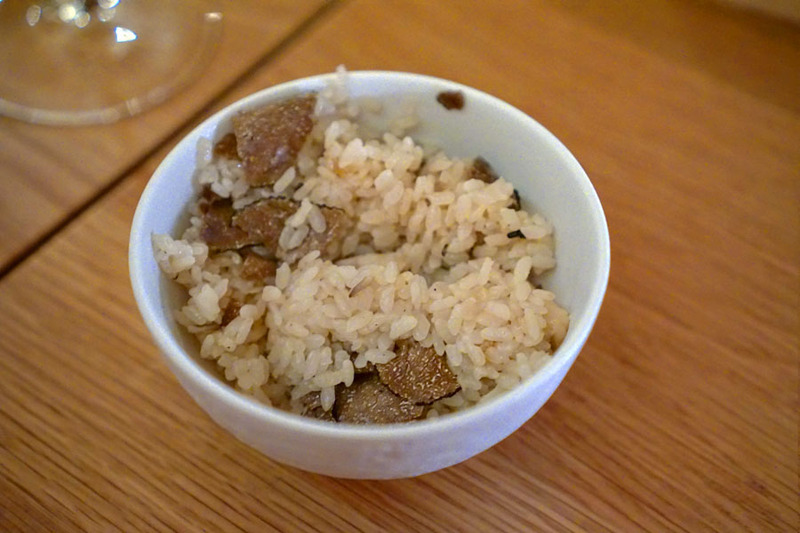 Mushrooms provided a base of umami, while the truffles made things all the better. The fried chicken was so good that we had to get two orders. The bird came out delicately fried, and had a lovely tartness to it that married beautifully with the creaminess of the tartar sauce. Nice zestiness from the scallions, too. 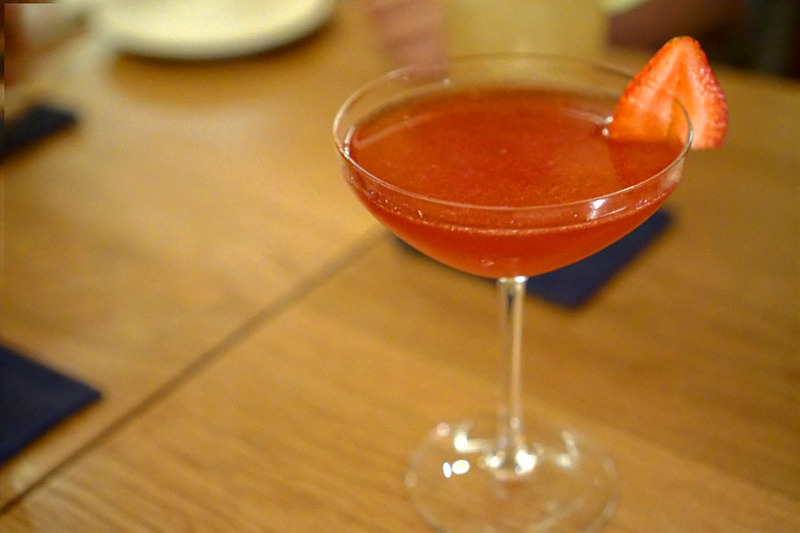 Our fourth and final cocktail smelled of fragrant vanilla and berry fruit--not bad at all. 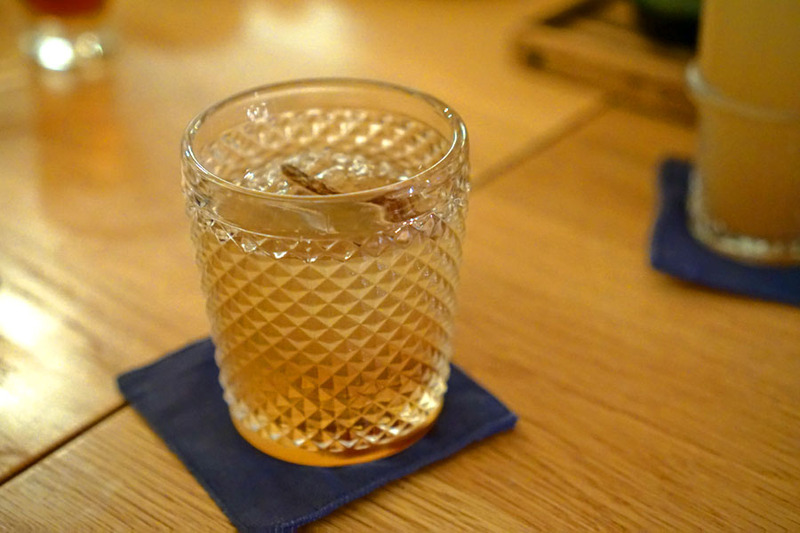 Taste-wise, it was much softer and much sweeter than I'd anticipated, with a lot of vanilla, and I definitely wanted to get more of the actual whisky. 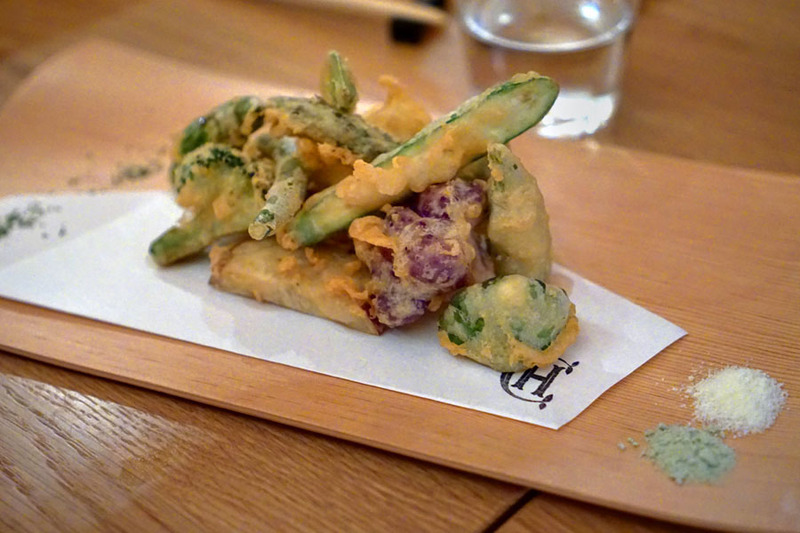 I was quite fond of the tempura, which came out hot and crispy. The frying was on the lighter side, so the veggies were really able to shine, and the salt on the side worked great as an accent. 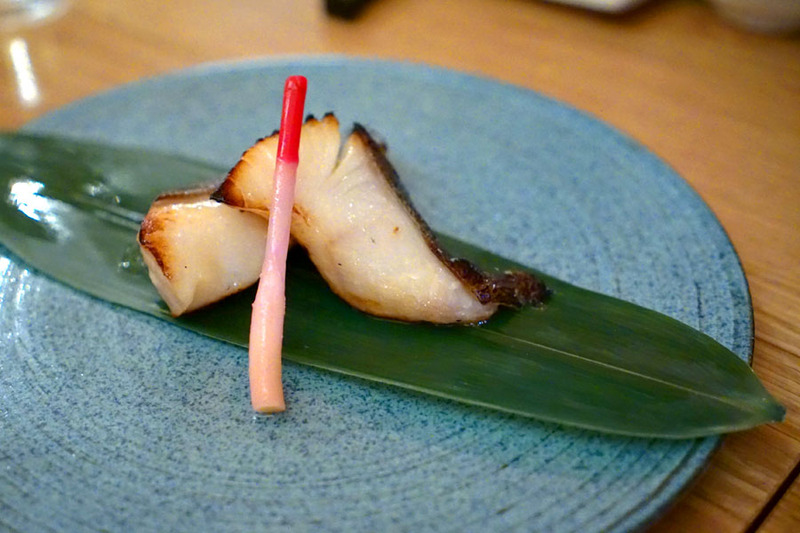 This is the ubiquitous miso cod preparation that you see everywhere, and Hanare's was a pretty decent example. 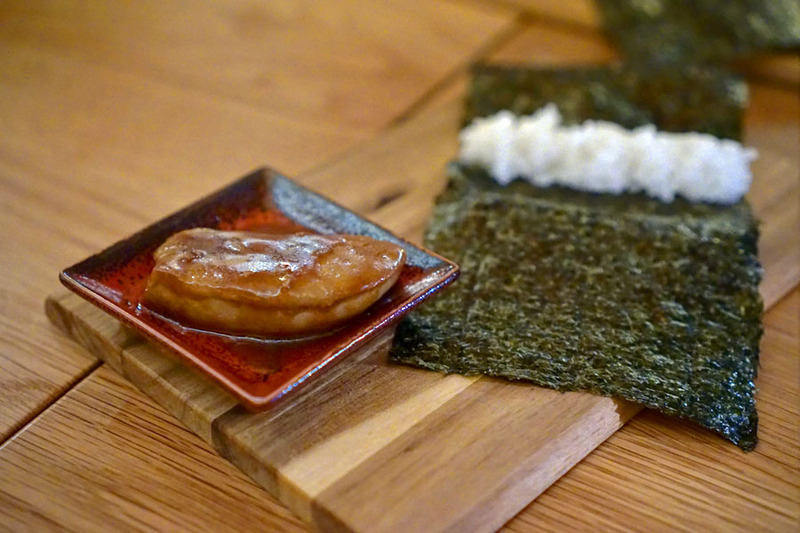 Think rich and buttery, with light char and a tart contrast from the hajikami (pickled ginger shoot). 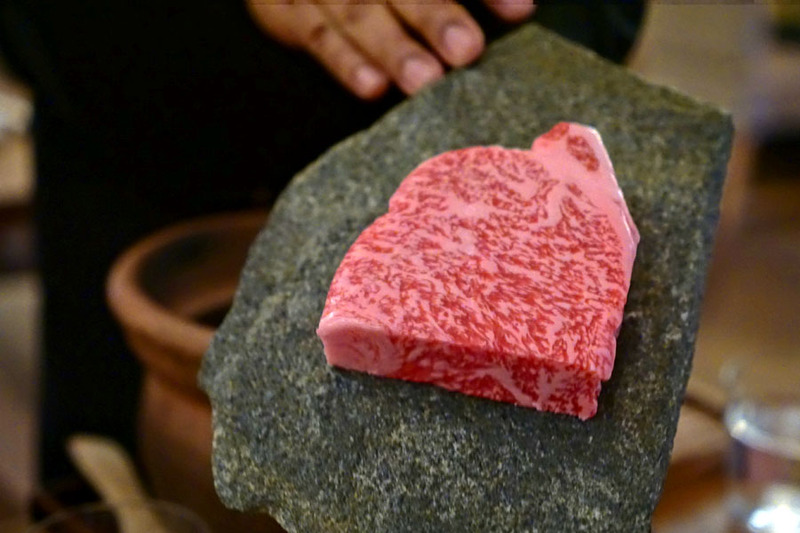 A5 beef from Miyazaki Prefecture was fatty and flavorful, as one would imagine, and made sense with simple seasonings of salt and pepper. 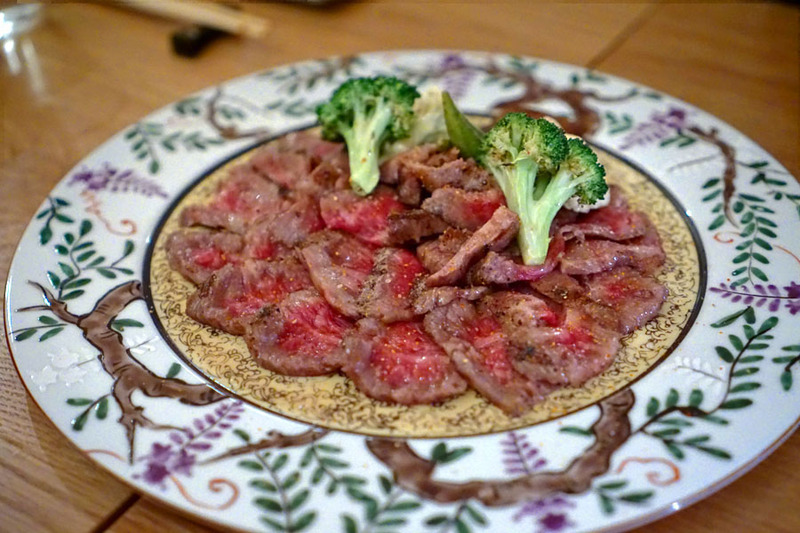 However, perhaps because it was cut so thin, I didn't find the meat as satisfying as I'd hoped for. 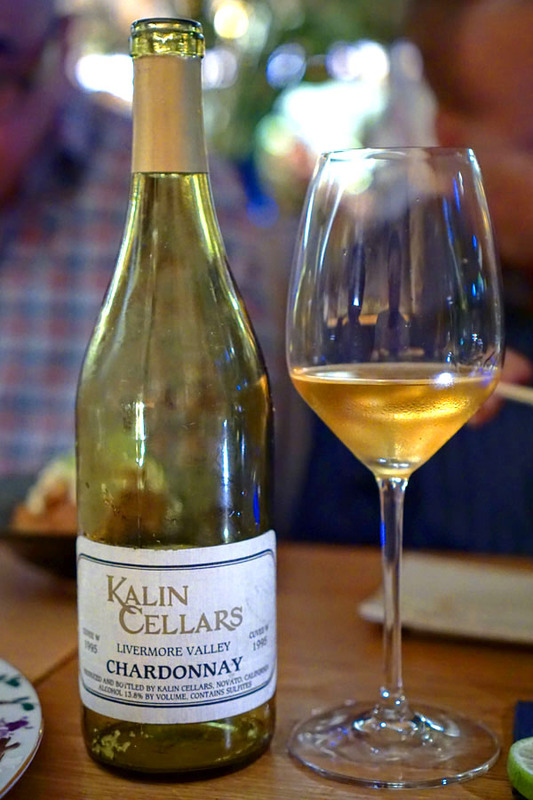 The 1995 Kalin Cellars Chardonnay Cuvée W was our second wine of the evening, and a quite interesting one at that. Its nose was definitely on the mature side, with nutty, sherry-like notes joined by a noticeable oxidative quality. On the palate, I found it savory and nutty once again, while there was also this tart acidity and traces of fruit for good measure. Foie came out as rich as you'd expect, but also with a considerable smokiness that I didn't mind. It was actually quite nicely balanced when taken with the included rice and seaweed. 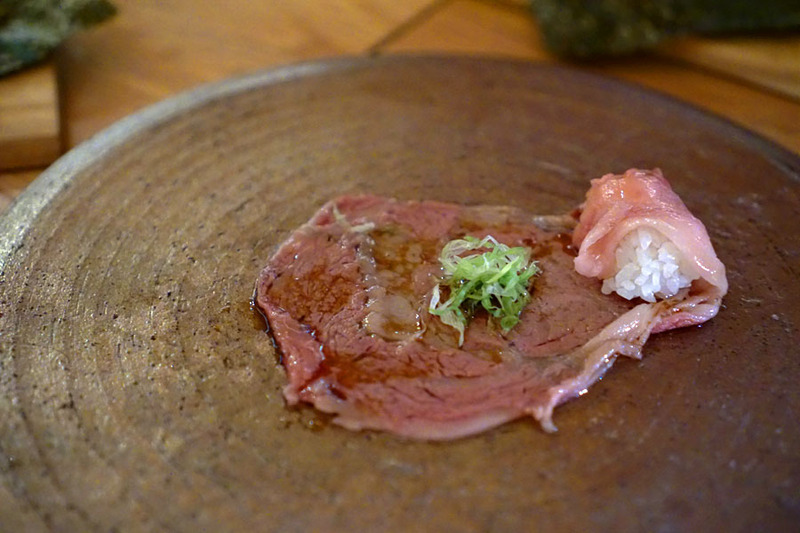 A sort of rejiggered beef sushi was tasty enough, the potency of the rib eye tempered by a combination of soy, scallion, and shari. 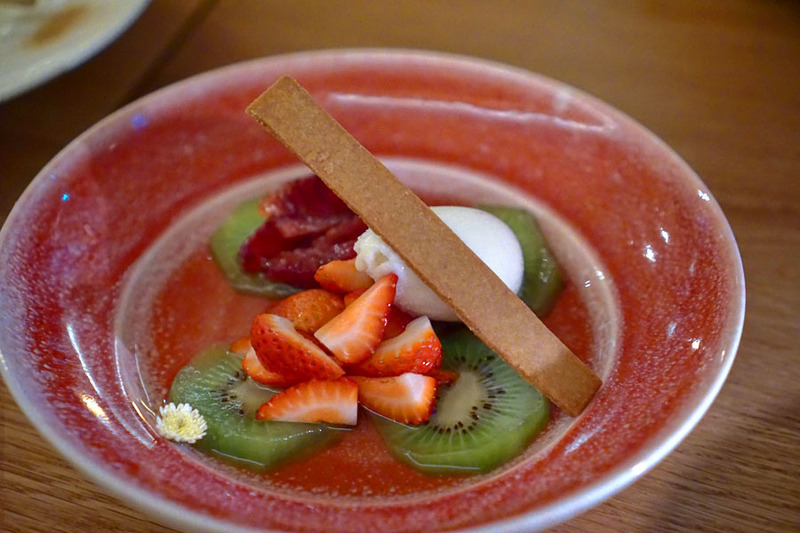 As for the sweet stuff, Chateau Hanare's got an assortment of desserts that follows the feel of the rest of the menu. Click for a larger version. 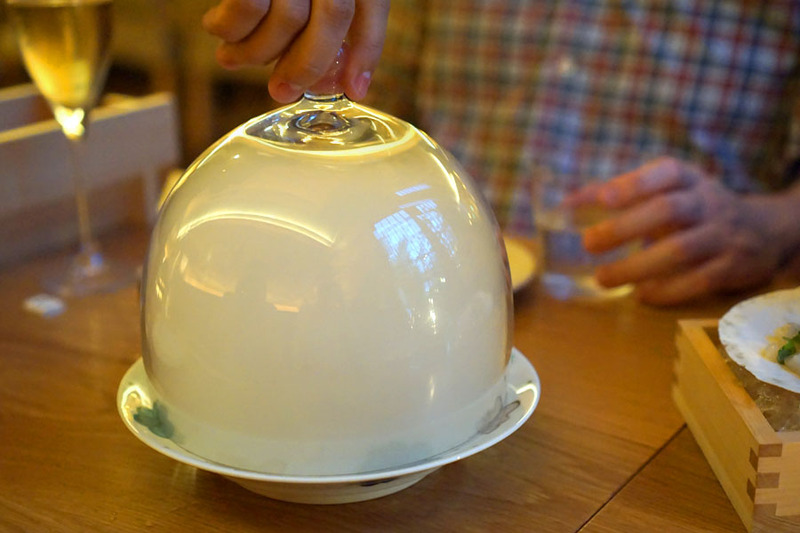 A hojicha panna cotta certainly conveyed the bitter, roasty notes of the tea, while the sorbet imparted a necessary sweetness to the mix. 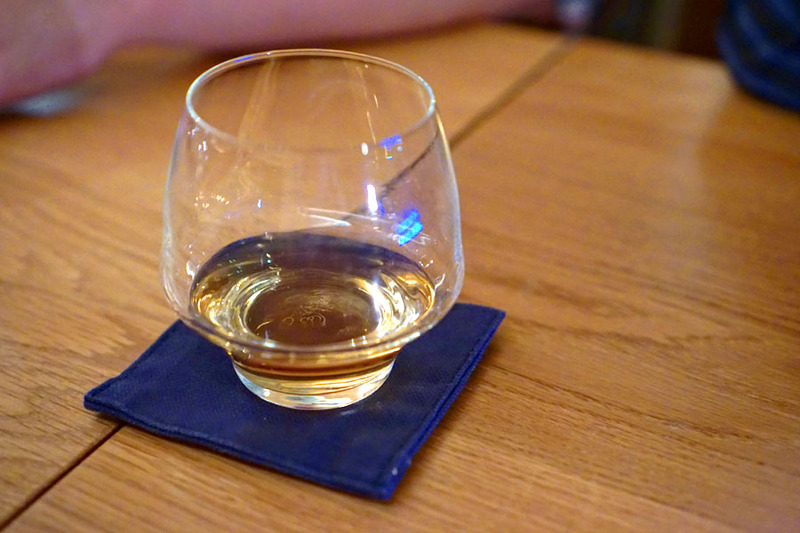 Digestif duties were handled by a glass of Komagatake Tsunuki Aged [$41]. Hot nose filled with caramel, honey, and apple. On the palate, this was spicy and somewhat smoky, with a sweetness resembling brown sugar and vanilla. 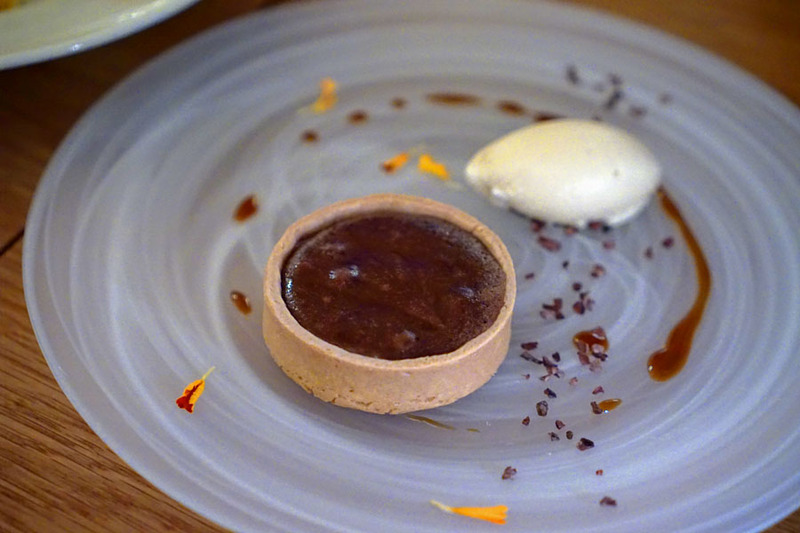 A puck-shaped chocolate tart worked out well enough, but the star for me was the ice cream, which actually did a nice job conveying the essence of the advertised whisky. 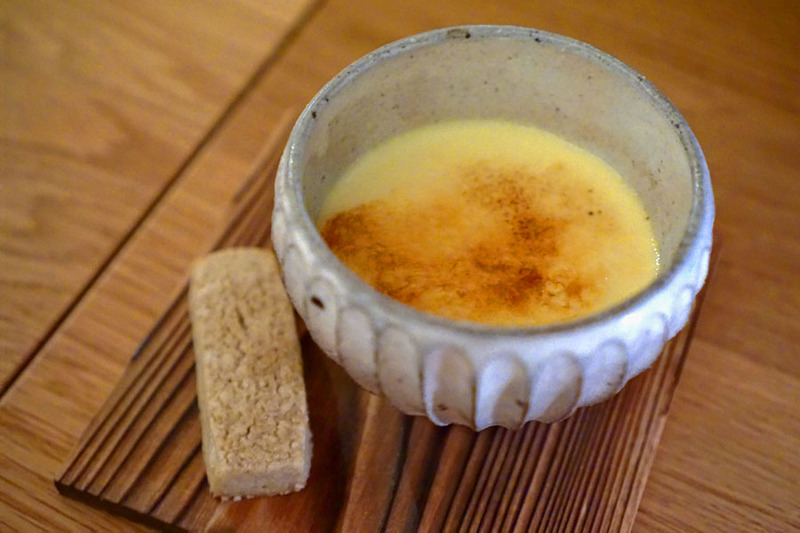 Hanare's take on crème brûlée ate pretty true to the classic dessert, as the soba wasn't immediately obvious. Fresh fruit was accompanied by some intensely floral flavors, which I didn't mind, though the sorbet didn't really come into play for me. 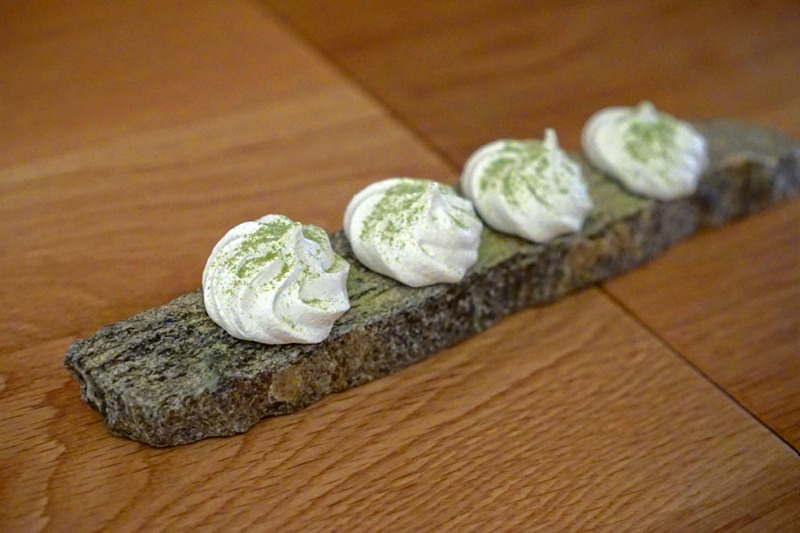 To close: meringues dusted with matcha. 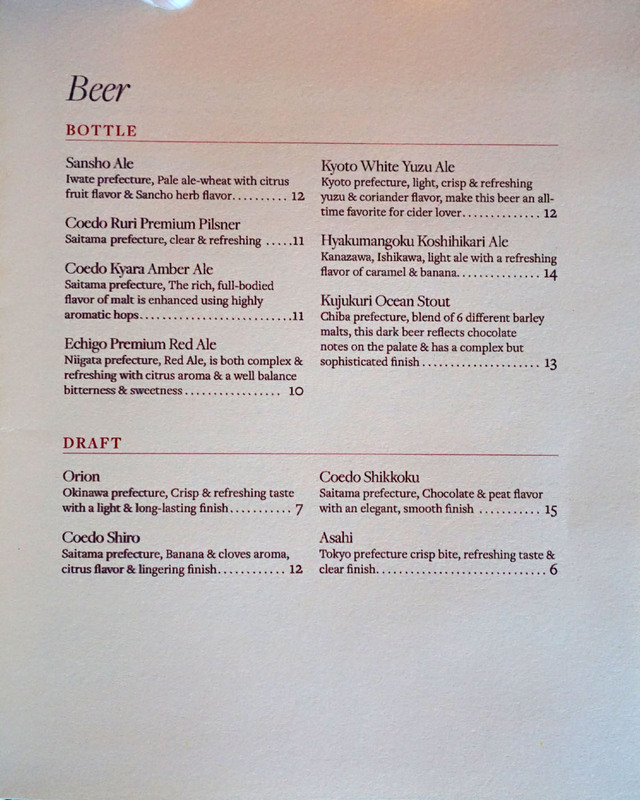 This stretch of Sunset isn't home to all that many Japanese joints, so it's nice to have Chateau Hanare as another offering. 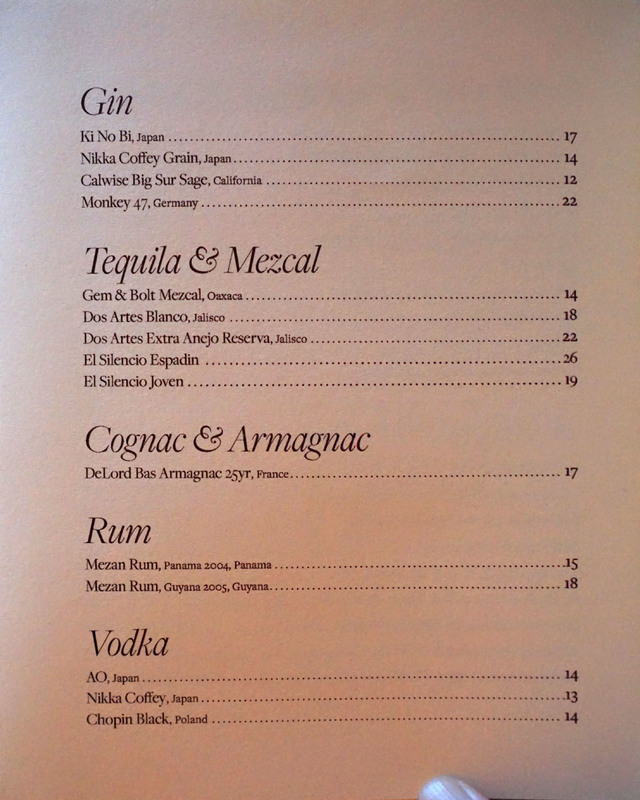 That being said, I'm not sure the place is doing enough to stand out from the myriad of Japanese options in LA. 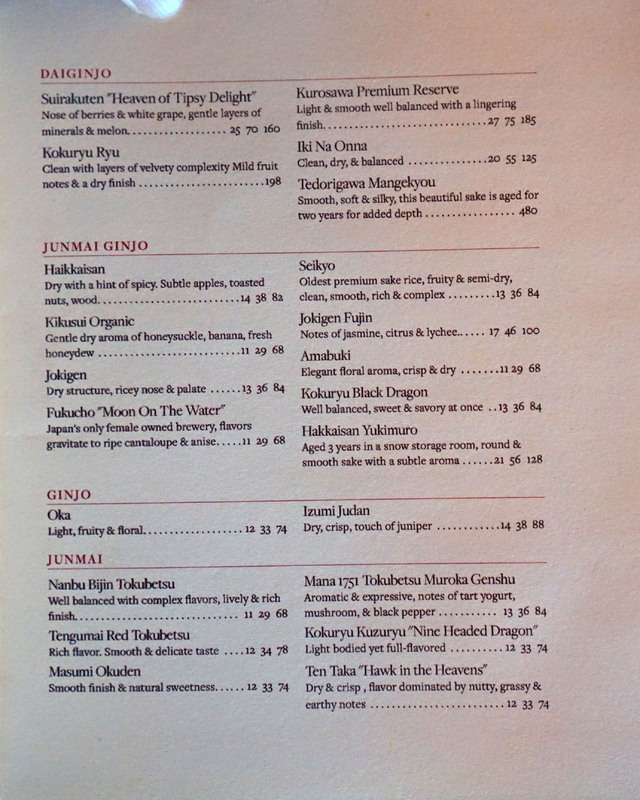 There wasn't anything particularly wrong per se, however for some reason the restaurant just didn't leave much of an impression. But then again, that's just me, and maybe the Hollywood set will dig it. Yikes! This place was pricey! Great thing you wrote this review so I'll never have to give this place a try. based on your comments, i don't know how anyone could recommend this place with a straight face. looks like they are trying too hard. Aside from ambiance, this restaurant was quite mediocre. You're right, no impression. 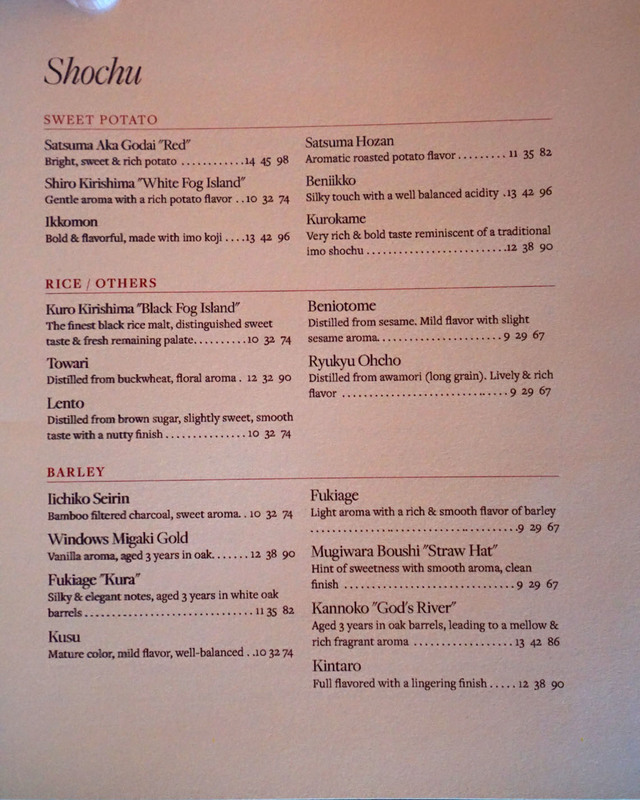 Couple interesting dishes but nothing stellar. 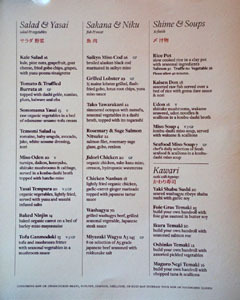 Go to instead the far superior KURA SUSHI in the strip mall across the street. 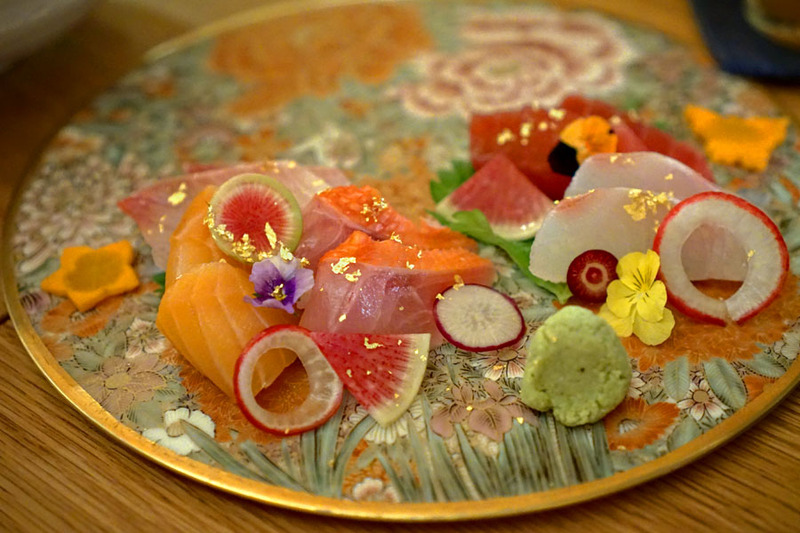 Not nearly as beautiful a setting, but as long as you sit in front of Chef Daniel Son (make sure he's there, usually T-Sat nights), and get his omakase, you'll experience some of the best sushi in LA. Daniel trained internationally in top restaurants--in Tokyo as well as at Noma in Copenhagen--and his craft reflects that. 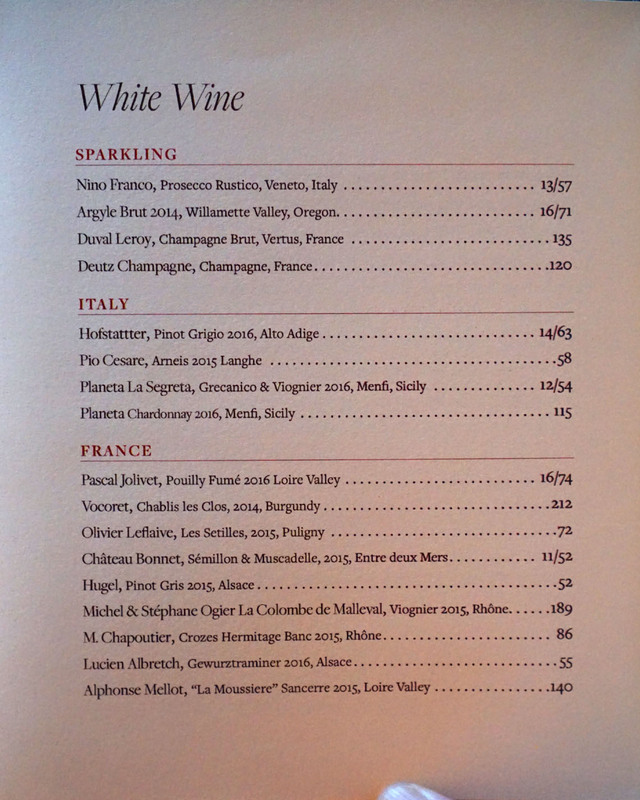 Are those prices up-to-date? I just ate there last night and most of the items were half of the price you posted.